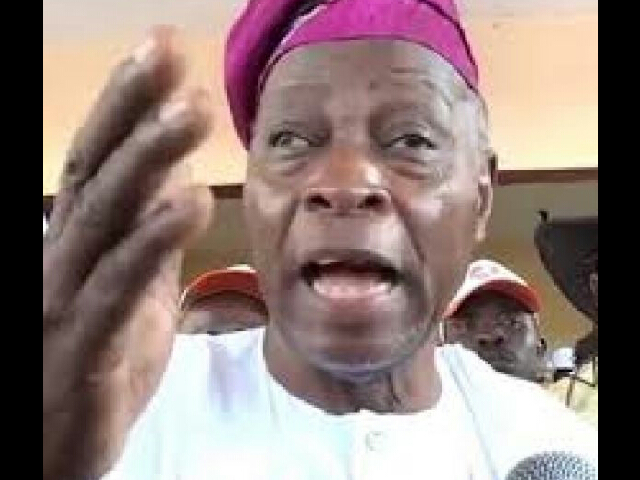 Social Democratic Party (SDP), on Sunday cleared the air on much talked about N100million corrupt allegation level against the Chairman of the party, Chief Olu Falae, saying neither the party nor its chairman was aware of where the money was coming from as it was simply meant for campaign during the 2015 electioneering. The party through its National Publicity Secretary, Abdul Ahmed Isiaq, said since SDP was not feeding any presidential candidate during the election, agreed to work for presidential candidate of People’s Democratic Party (PDP) Goodluck Jonathan. He said prior to the Goodluck Jonathan’s re-election campaign bid, the Peoples Democratic Party (PDP) had approached the SDP through its BOT Chairman, Chief Tony Anenih for electoral alliance for the re-election of the former president. “Chief Olu Falae being the National Chairman of SDP summoned the National Executive Committee (NEC) of SDP to a well attended meeting to consider the PDP’s proposal of Electoral Alliance for the ‘re election bid of former President Jonathan since SDP did not field a presidential candidate of its own. “Consequent upon this agreement the PDP through Chief Tony Anenih contributed N100M (One Million Naira Only) to the SDP/PDP electoral alliance project through Chief Olu Falae . The SDP spent well above N100M for the execution of the project throughout the Election period. “SDP nor Chief Olu Falae was not aware of Col. Dauki’s Arms deal money through Chief Anenih, the SDP as well as many Nigerians were aware that the PDP had a fund raising event prior to the Election where Billions of Naira was donated. The SDP is also conscious of the fact that the PDP had ruled Nigeria for 16 years and it is expected that they are capable of funding their part of the electoral alliance. “We hereby affirm that neither the SDP nor Chief Olu Falae have anything to do with the $2.1billion Arms deal debacle,” he contended.